Climb a wonderful, sustained slab in the sun on Mt. Moran. Mt. Moran is an iconic mountain in the north end of the range. The 5.3-5.4 CMC route is an iconic route on that mountain. The CMC has much more sustained climbing—albeit easier—than the usual routes on the Grand Teton. Its exposure feels greater though, due to the scale of the face. Also because of the exposure, the descent, mostly downclimbing, is much more head’s up than descending the Grand. 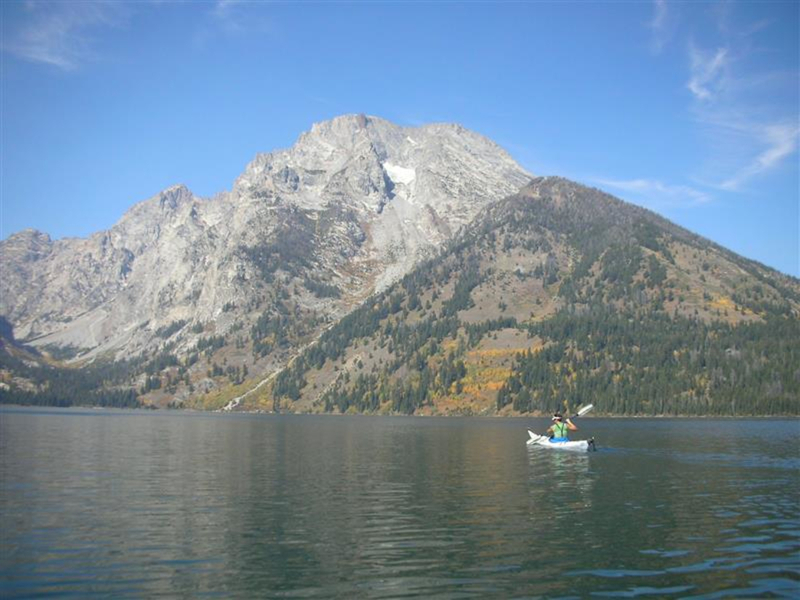 Moran is off the beaten path of the Garnet Canyon trade routes and a boat approach—we like kayaks best—adds extra adventure to an outing there. 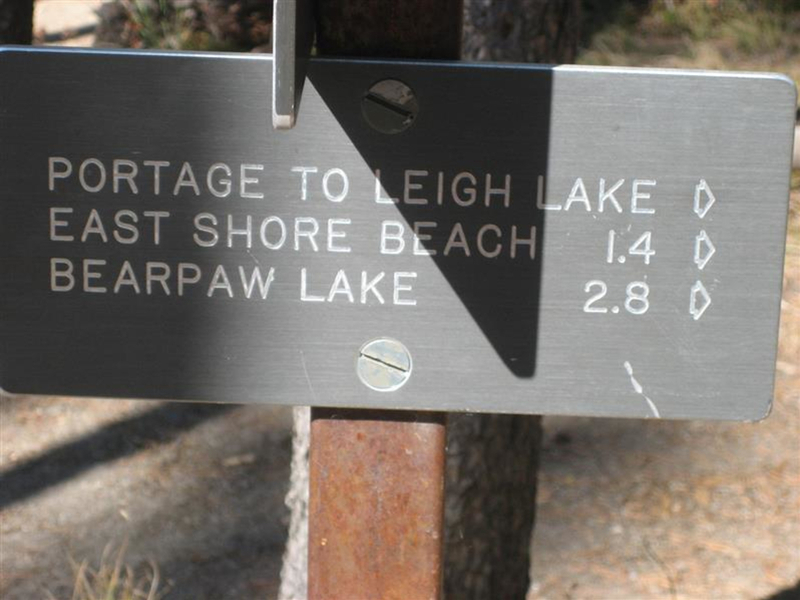 The portage between String and Leigh lakes makes Moran feel like a proper expedition. The boating part from the northeast end of String Lake and over to the northwest shore of Leigh Lake and the base of Moran takes about 2 hours. 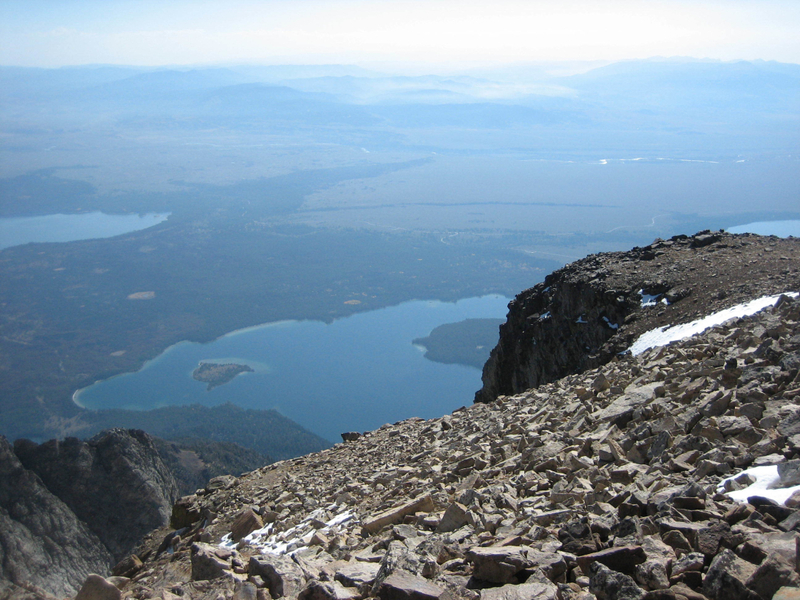 From there, the hike—on a fairly well-defined climber’s trail—to the camp (at 10,000 feet) takes about 2 hours. Direct and steep, the trail does not mess around. The camping area is obvious, with multiple flat platforms, few crowds, and great views. There is water nearby. After arriving at camp, we recommend scouting the approach up to Drizzlepus, since you’ll be doing it in the dark the next morning. Usually a well-built cairn marks the ramp through the cliff bands. If you don’t see it and you find the ramp, do everyone a favor and build one. From camp to the far side of Drizzlepus—it’s a short (but roped) climb up Drizzlepus and then you must rappel the far side—should take about an hour. Rapping Drizzlepus: It usually takes 2 raps to get down. Build the first anchor with a slung horn and use the fixed anchor for the last 30 feet to the notch. The CMC: The CMC ascends easy slabs and shallow grooves up and right (north) diagonally toward the Black Dike. There are so many options in here; all in the 5.3-5.4 range. There are some fixed anchors. As you ascend, the route gets steeper, but remains easy. 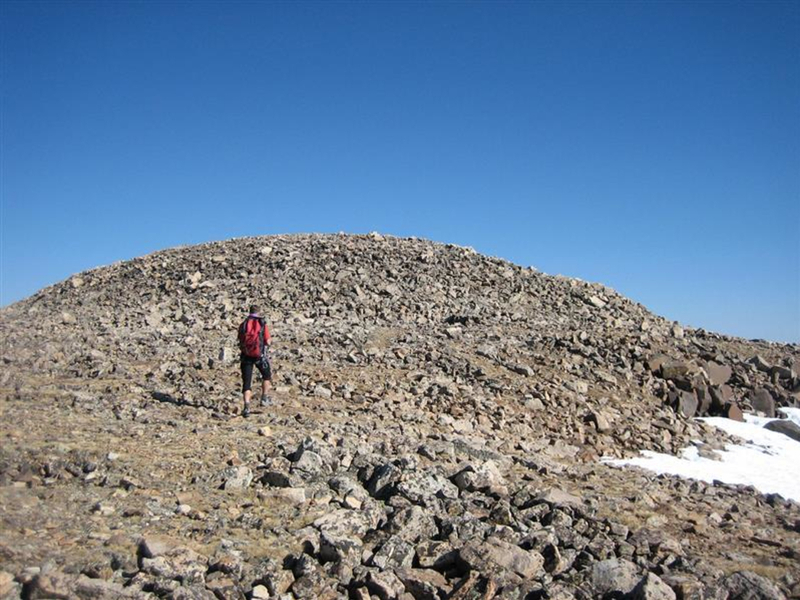 The final few pitches to the summit are just south of the Black Dike. 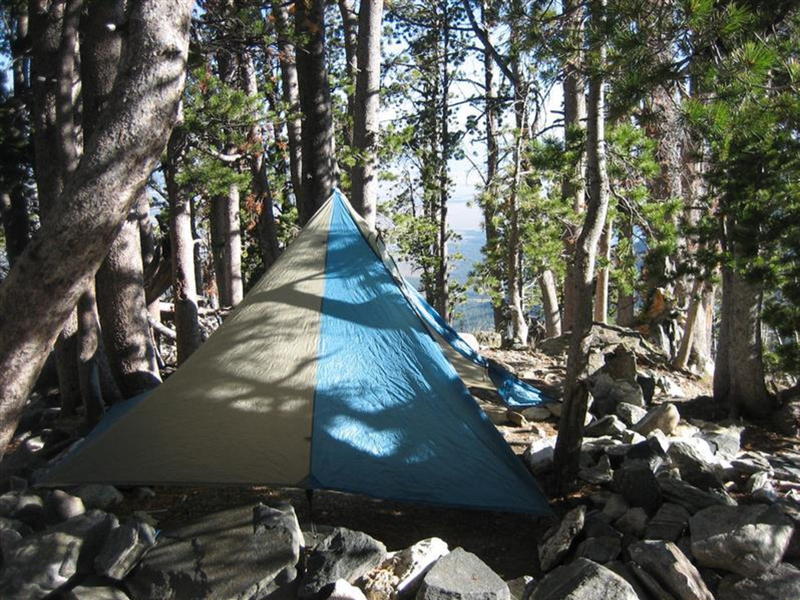 Summit: You should get to the summit 4-6 hours after leaving your camp. 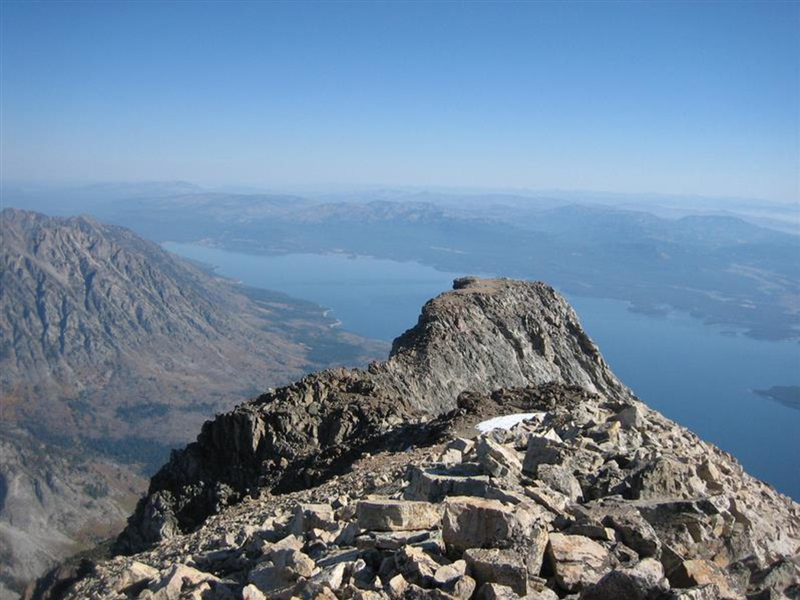 Enjoy incredible views to both the south and north of the rest of the range and of Jackson, Leigh, String, and Jenny lakes. Descent: Head down ledges to the south of the climbing route. Fair warning—the descent is very circuitous. Rappels can be used—keep an eye out for anchors—but most of the time it’s 3rd class down climbing ledges and corners to the south of the main CMC face. It gets steeper a couple of hundred feet above the notch at Drizzlepus. Don’t be afraid to use the fixed rap anchors here for this bit. 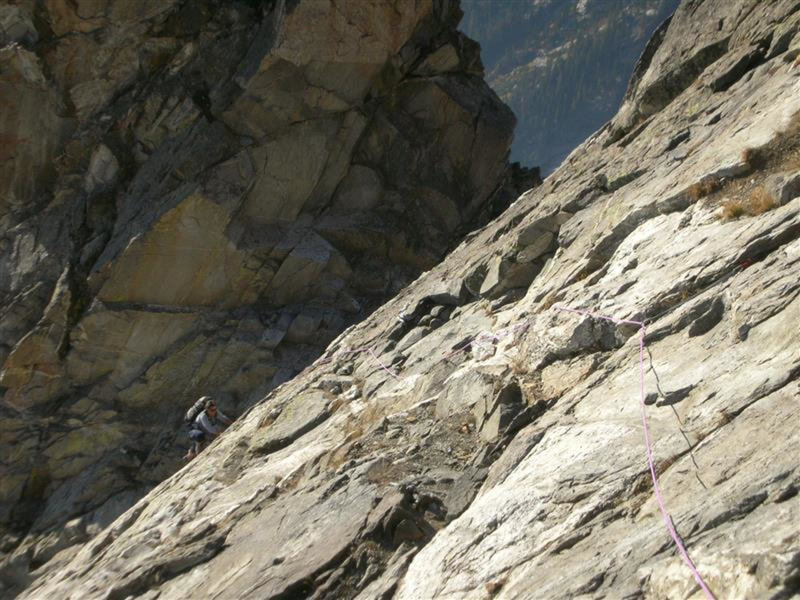 Climbing out of the Drizzlepus notch involves a few steep moves to the south and then straight up to the obvious weakness at the top of formation. It’s all mostly 5.2, or easier. You can do it in one 60m rope or might need two shorter ones, depending on how much gear you place. The climb back down to the camp should take between two and four hours. Mt. Moran is located in the northwest corner of Grand Teton National Park, and can be approached from the Jenny Lake area.